The missus and I are in Bombay all this week. It’s been a while since I was in Bombay and it’s always nice to see what’s been happening in your absence. Plus, if there’s one passion I have it’s Coffee. 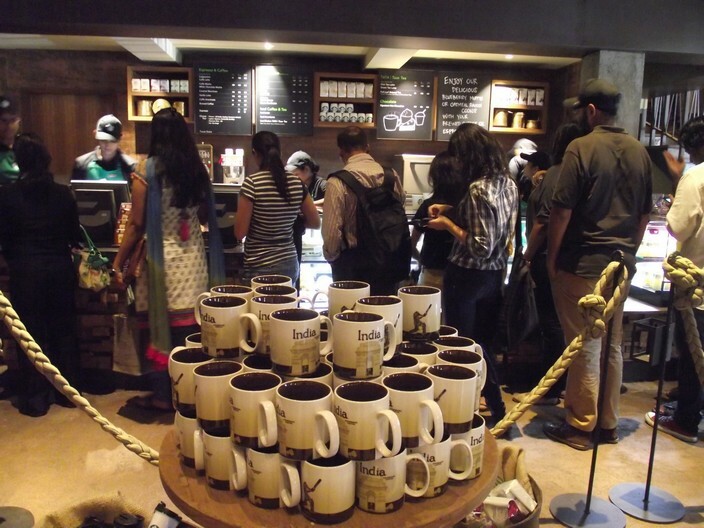 So, when we heard that India’s first Starbucks was opening the very day we arrived we knew we had to go. Except….. 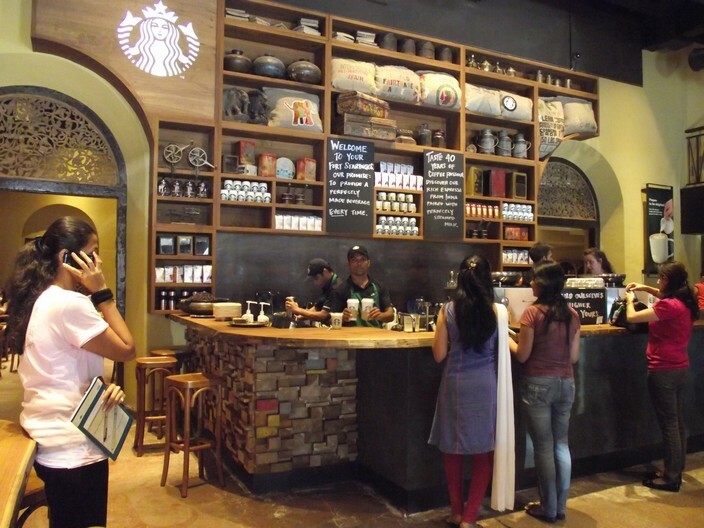 Except when we got to the Horniman Circle – the location of the grand opening – we saw a line running all the way out the Starbucks and around the corner past the Tata Croma next door. The fact that the line seemed to not move at all for the 5 minutes we were there inspired no confidence in us. This was just coffee after all. There was no way we were going to wait in line for this. We went back the next day. The missus believed, ostensibly, that we went to eat at Cafe Churchill or explore the Colaba Causeway and that Horniman Circle was a convenient detour but, at heart, I think she knew. Except…. The line was longer this time around. Early in the evening. On a Monday! Back to the drawing board. Or Bandra, in this case. 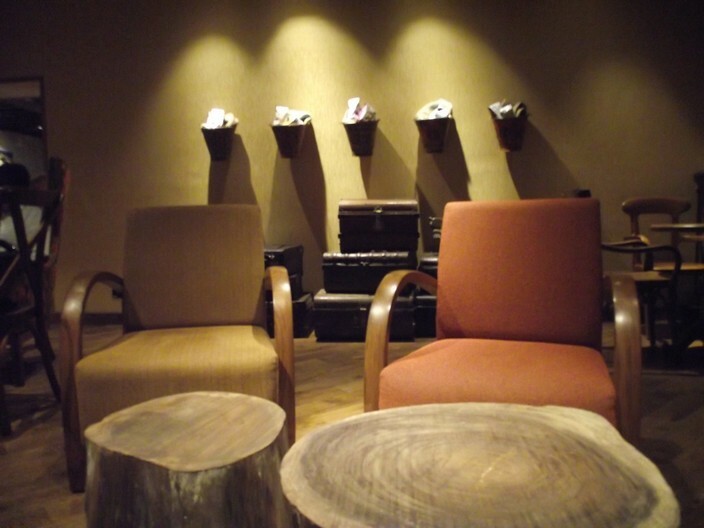 We consulted with Ravi and Shruti – our gracious hosts. Consensus had it that we should leave right after the first wave of office traffic subsided. So, the intrepid couple set out at 11:30 a.m. 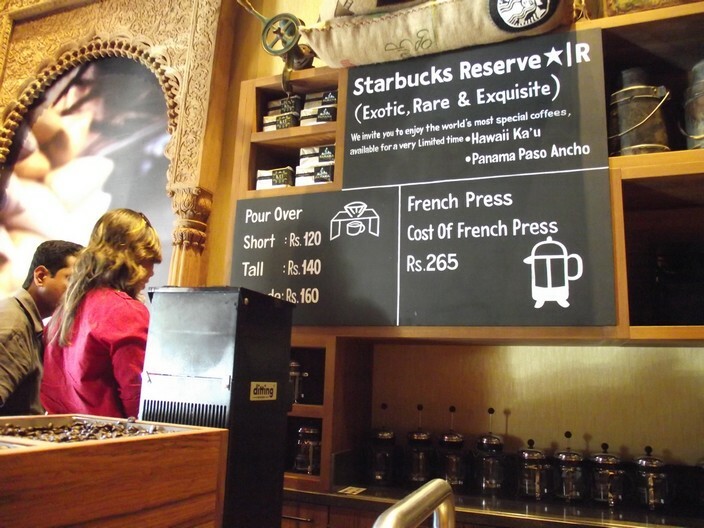 When we arrived, an hour later, there was no queue to be seen outside the Starbucks. Our hearts leaped. We walked nonchalantly into cafe only to find that there’s no escaping a line in India. This was just 15 people, though. 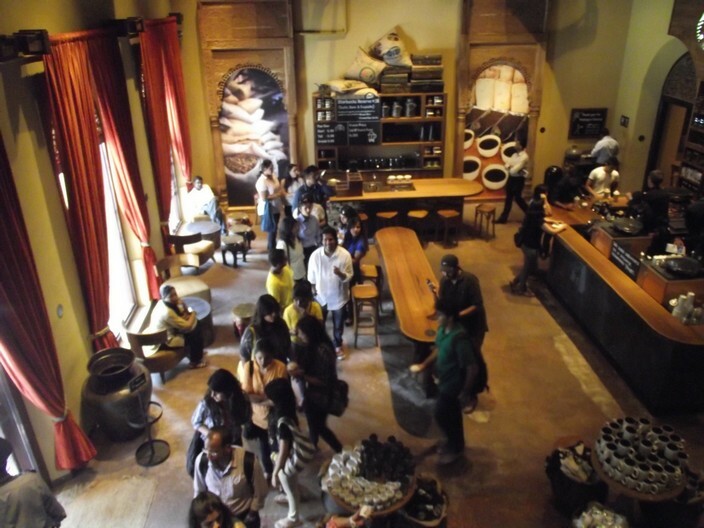 Pitted against the legendary Starbucks service we have all heard of. 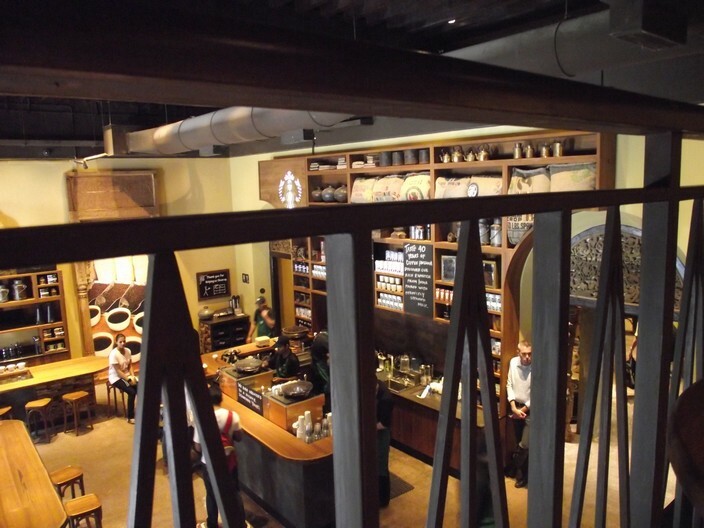 The missus went upstairs to get us some seats and I waited patiently behind a couple of Japanese businessmen making their first trip to a Starbucks as well. 35 minutes later I was still waiting behind the Japanese gentlemen as the patrons ahead of us relished their respective first turns at ordering at a Starbucks. The counter we were approaching – inexorably but incredibly slowly – comprised the food counters and the tills. 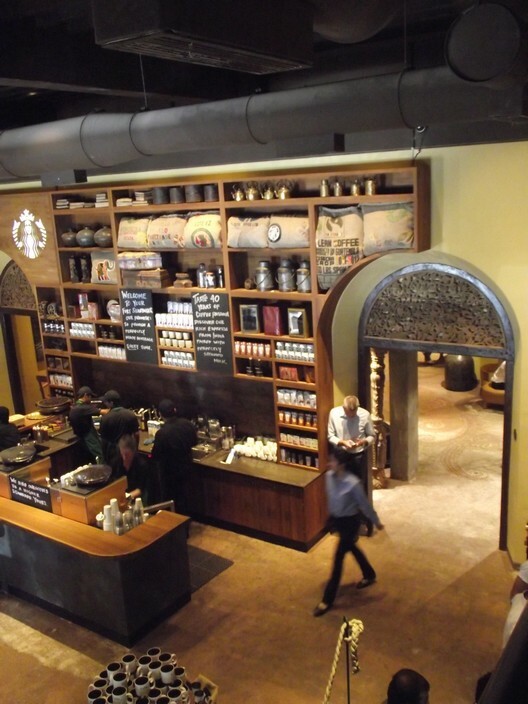 Orders were taken and a smattering of items, such as brewed coffee, were dispensed from there. I found this rather counter-intuitive; people were frequently stepping in and out of line to get a better look at the food or switch between the vegetarian and non-vegetarian sections. At this point I must explain the title of the post. This isn’t a finished review of Starbucks. Simply because Starbucks isn’t fully ready yet. The process flow hasn’t been optimized, the customers haven’t figured out the lay of the land and the staff has miles to go in their training. Supervisors were guiding their subordinates, peers were helping out, questions were being asked, discussed and answered. And all of this was reducing to a trickle, the flow of money into the cash registers. In time these issues will be resolved; the staff will learn as will the customers. 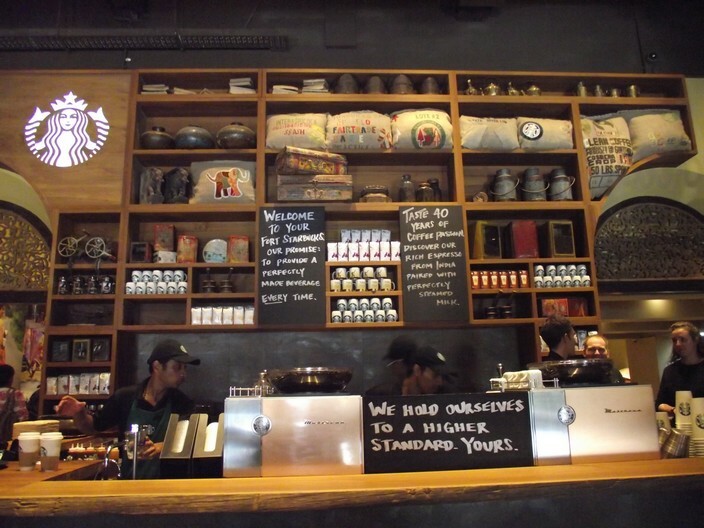 The managers will exercise their discretion and tweak the global Starbucks experience to the unique Indian environment. The free Wi-fi will work. All of this, eventually. 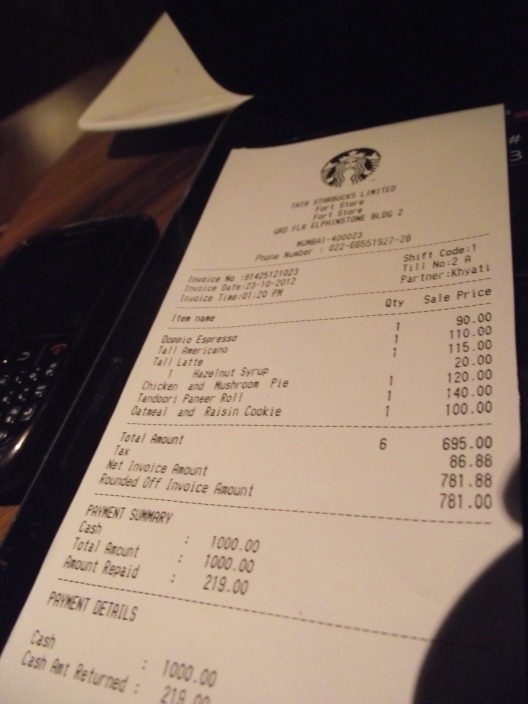 At that point we will be able to speak about the Starbucks Experience. Till such time, however, let’s confine the discussion to the coffee. And the food. I ordered a Double Espresso and a Tall Americano for myself and a Tall Hazelnut Latte for the missus. To eat, the currently-vegetarian wife got a grilled paneer bun, I got myself a chicken and mushroom pie and an oatmeal cookie as dessert. I downed the Espresso as I waited for the rest of the order. The Crema was a spotless off-white. 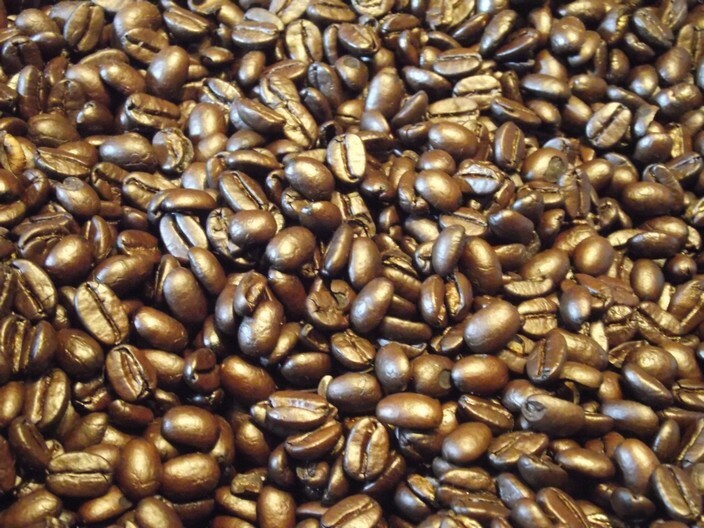 I personally prefer a mottled crema with some red in there. 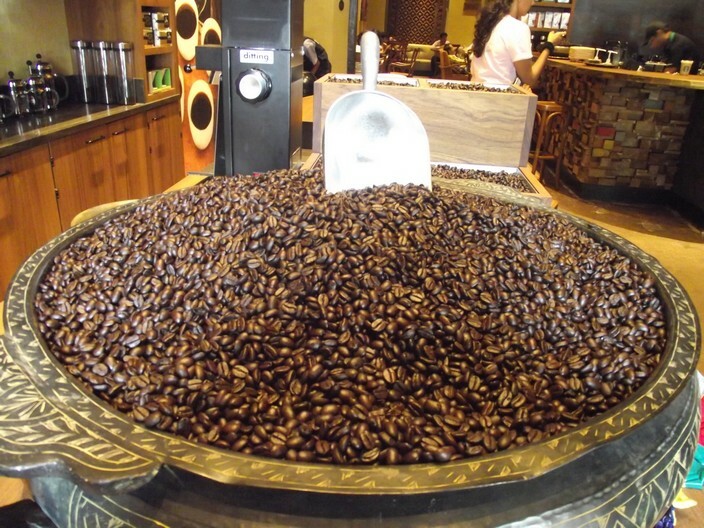 The coffee itself was not bad – but too bitter for what is pure Arabica bean. I guess that means their focus is on getting a good latte out rather than the best Espresso shot. Fair enough. We tried the other stuff after I joined the missus. The Americano was a clean brew with no real signature. Decent but unremarkable. The latte, the missus tells me, though, was fantastic. As was her paneer bun. I can attest to the brilliant taste of the oatmeal cookie. the pie was a disappointment, however. The filling was too meagre and too mild to leave a good impression. 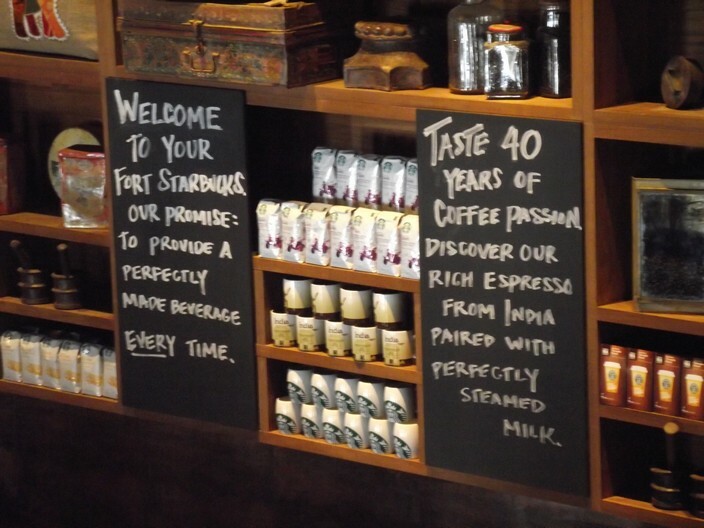 Overall, I’d say I understand the pricing model at Starbucks. They aren’t bringing anything revolutionary to the table and they are charging accordingly. 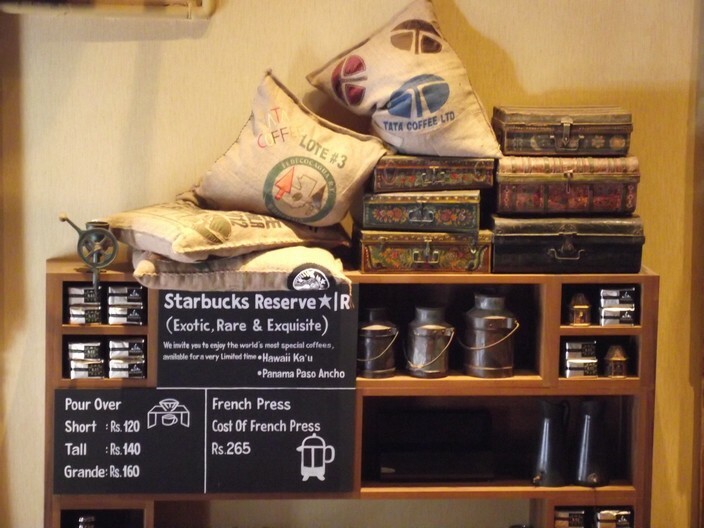 A lot of Tata and Tata Coffee presence at the cafe. Lots of Seating for a QSR. Flagship store, anyone? Sweet. 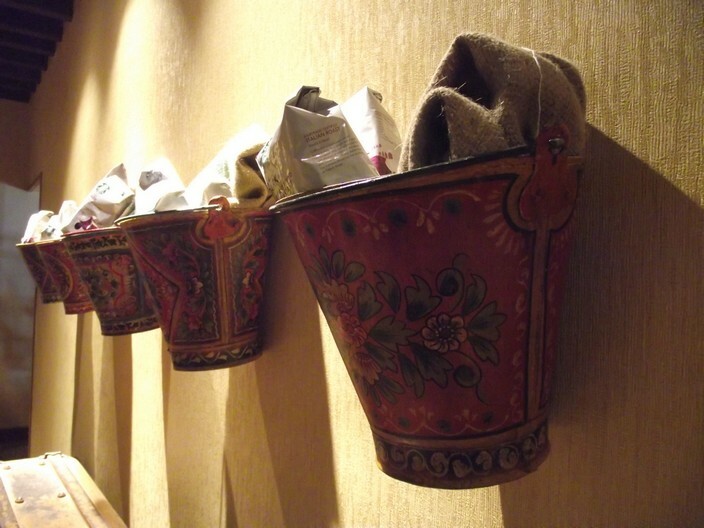 As a coffee geek, though, I wish they’d hold themselves higher.